Team Transport & Logistics is proud to be heavily involved in the community and supporters of many well-deserving charities, community clubs and organisations. 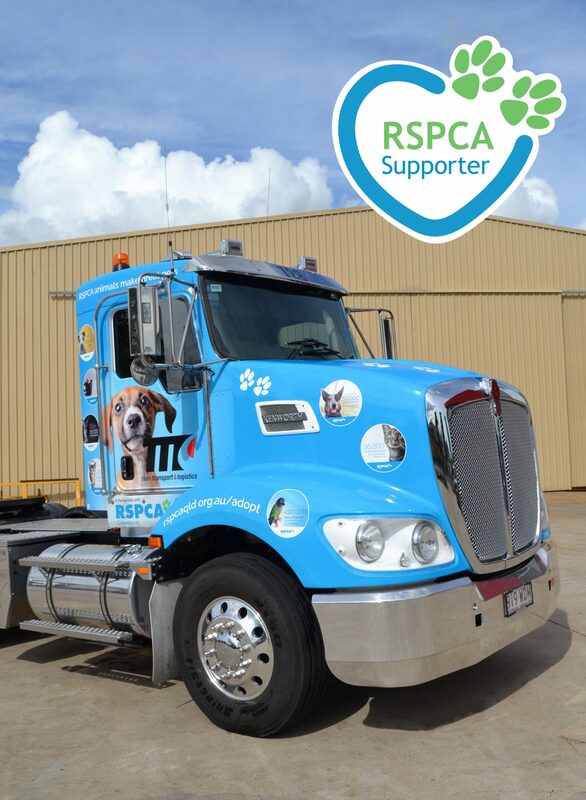 Most recently, Team Transport has lent their support to RSPCA Queensland. Team Transport have wrapped one of our newest Kenworths in support of RSPCA Queensland. We proudly drive this adorable vehicle all around South-East Queensland in the hope of increasing awareness for the community-based charity and their efforts to care for and save the lives of animals in need. Recently we were honoured to assist the organisation with transportation for their Big Adopt Out event in Brisbane! Another truck wrap proudly paraded around Queensland, this time in support of Mental Health Charity, beyondblue! Along with the new look given to these beautiful DAFs, Team Transport & Logistics were able to raise $8000 for the non-profit organisation; something we’re extremely proud of.